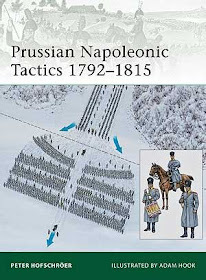 About a year ago I followed a recommendation from Henry Hyde which appeared in Miniature Wargames magazine. The recommendation concerned the brushes produced by a company called Rosemary & Co.
On the basis of Henry's glowing report I ordered a set of 5 brushes. Now, after a year of light-medium use (using both acrylic and enamel paints), I am re-ordering as the brushes are just beginning to lose their points. In short, I have found these the best brushes I have ever used. The 'Series 99' which I use will suit most wargamers, being reasonably priced and IMHO about twice the quality of similarly priced items. More expensive ranges are available if you want even higher quality. Ordering direct from the website is easy - the only possible problem is that you need to make an order of at least £10, which with Series 99 will mean 4 to 5 brushes in one order. The website is very professionally presented and has an enormous range of brushes to choose from. Service is good, postage reasonable and delivery is prompt. This sounds interesting - which size(s) of brush did you buy from the Series 99 range? they are excellent brushes and with a great delivery service too. I use them and have recently added some longer bristled brushes for lines which are also excellent. Stuart - I went for a 2/0, 0. 1. and a 2.